Daughter, I thought I raised you better than that! She’s just kidding around, of course. For the most part. For most of my life, I hated mushrooms too. It’s a texture thing, really. They’re so squishy and weird. Yet, I liked cream of mushroom soup in casseroles. Teeny tiny pieces didn’t bother me. My husband loves mushrooms. He loves to hunt them, too. Our daughter has the eye for morels, and we find a few every year. One of these years, we hope to stumble upon the morel motherload. Because that would make up for the tragic morel misadventure a few years ago. We drove to one of our favorite Michigan getaways for a weekend of morel hunting. 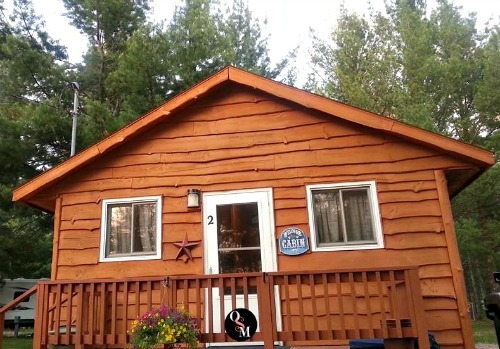 It’s a four-hour drive to High Bridge Cabins in Wellston, Michigan. But, Wolfie and Susie make it worthwhile. It’s a great little place to stay. Manistee National Forest is a wonderful place to stomp around and enjoy nature, and you’re also close to Manistee, Michigan, which has a terrific ice cream shop. We found one nice-sized morel that year. It was delicious with grilled chicken breast. About an hour after we left to go home, our Jeep broke down. After several attempts to fix it in the parking lot of an auto parts store, we realized that the only way we were getting home with the Jeep was to have it towed. Since the tow bill for a three-hour drive would have meant handing over our first born, we made a bunch of calls and finally arranged for someone to come and save us with a truck. That four-hour drive turned into about THIRTEEN. A few hundred dollars, and days, later, the Jeep was back in commission. That was one incredibly expensive morel. Way more than the $30 to $50 or more per pound they’re priced at in the local stores and farmer’s markets! You’d think I would despise mushrooms now, wouldn’t you? I can’t say I love them, or necessarily like them. But I don’t pick them out of stuff anymore. And now and then, they just sound good. Your husband has brainwashed you, daughter! Hush, mom…maybe you should try one of these Stuffed Mushrooms. They’re actually really good! These grain free stuffed mushrooms won’t cost an arm or leg or leave you stranded for hours. 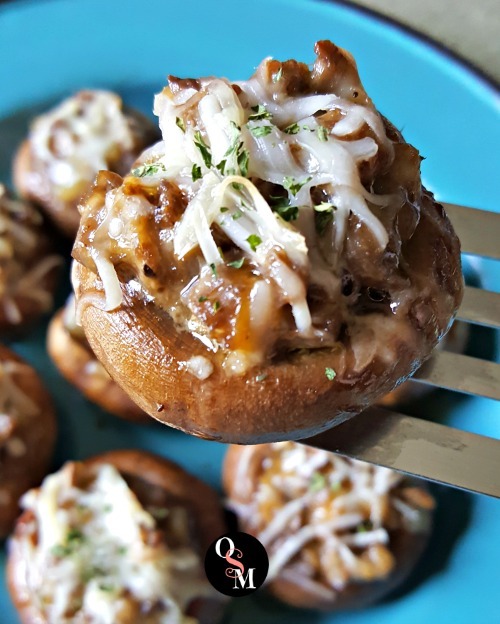 These stuffed mushrooms are simple to prepare and fabulously delicious. I even got a “very good” out of my hubby. He doesn’t hand those out often – not much excites him, but mushrooms are one of the foods that he really, really loves. Most stuffed mushrooms recipes call for breadcrumbs, and I know a mushroom stuffing made that way is tasty. 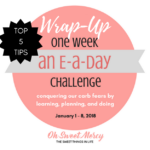 But, if you’re gluten free, low carb, a Trim Healthy Mama follower (or all of the above), you want a recipe without breadcrumbs. I also like to keep things simple and use what I have. Certainly, I could have made a THM friendly bread to use breadcrumbs, but I just didn’t feel like doing all that work (and I didn’t have the time). These mushrooms still turned out deliciously! If you need an easy, flavorful, bread-free appetizer idea you’ll want to give these a try! These are an S, Mamas. Zero countable carbs! 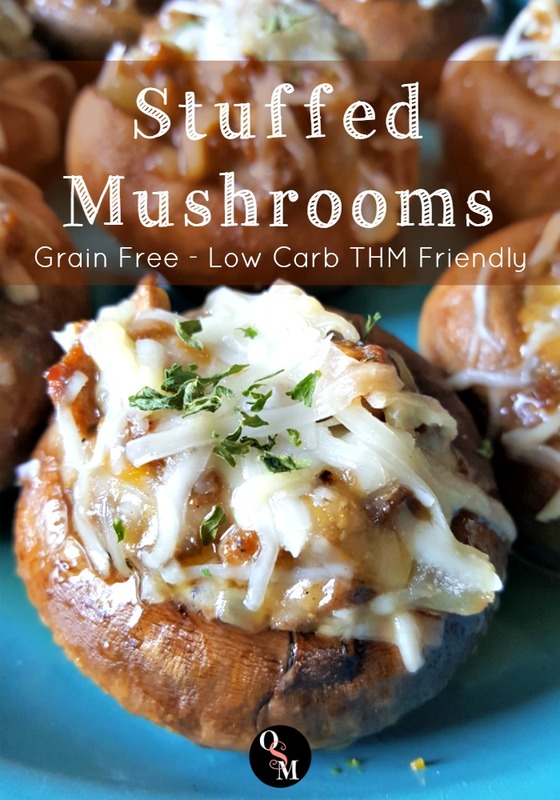 I made these as an appetizer for my hubby and Mister (Sister takes after Grandma and hates mushrooms) while making supper the other night. While you certainly CAN pair these with a heavy-S meal, don’t do that too often. These Stuffed Mushrooms paired with lean grilled chicken and a big, leafy green salad with plan-approved dressing and fresh berries for dessert would make a satisfying, but not over-the-top on fat, meal. 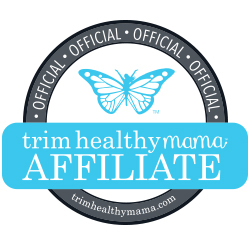 Learn more about the Trim Healthy Mama Plan by reading my review! 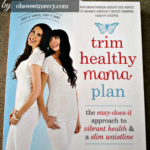 Check out my review on the THM Cookbook, too! Like this recipe? Please share, your friends will too! Pin to your favorite Pinterest boards! I am “dumb”…what is THM??? This plan is a great fit for many people. 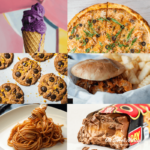 Just like any “diet” or style of eating, it may not suit everyone. The thing is to find what works for YOUR body and stick with it. 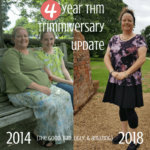 Thousands and thousands of women (as well as men) have found the joy of “food freedom” and the benefits of better health with THM. Hope that helps! This sounds great! 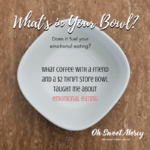 Thank you for sharing on the Wonderful Wednesday Link Party, I will be featuring your recipe this week!